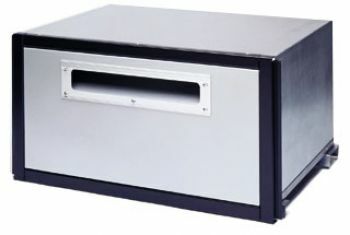 The classic mailboxes, these units are manufactured with extruded aluminum doors in 5 different sizes and are designed to fit into the Rack Ladder System, Rotary Mail Centers or the 101C Modular Enclosures. The Rack Ladder System is a rear loading modular system used most commonly by the US Postal Service. The rack ladders support five mailbox or parcel locker modules to form a column. One column requires 2 rack ladders and each additional column in the same bank requires one additional rack ladder. With a variety of unit types and sizes to choose from, the rack ladder system allows mixing and matching of units according to delivery needs. The (MDC) mail drop compartment can be installed in traditional recessed wallmount applications, HSS Industries' 101R Front Loading Enclosure, and the 101C Rear Loading Enclosure.